purestore168 has no other items for sale. 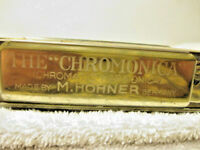 Great Transaction and I love the harmonica ! Thank you very much! Fast shipping! Great seller! Nice product..fast shipment, thank you. 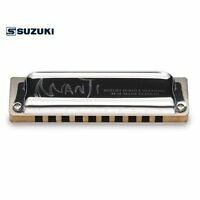 Very good harmonica , not cheap due to less price . 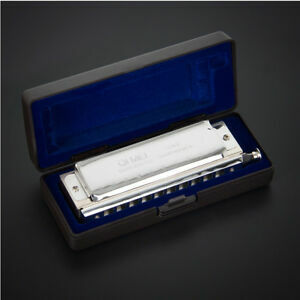 Very good harmonica , very responsive and airtight, this is not cross harp but straight harp 10 hole. Design and built is good , sounds very good . Pro's practice harp to beginner learning harp recommended. Getting a chromatic harmonica in this price with this built is rare .Very good harmonica , not cheap due to less price .. better than few branded , air tight and robust. Good case too....Recommended ...records using GB sounds like pronharp. Thank you. The notes don't play cleanly, either on the inhale or exhale. Very disappointed. Unusable. Now collecting dust. Do not buy.